A regional publisher has created new mobile phone apps allowing readers to personalise the content they view. 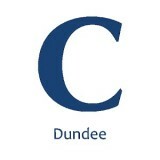 DC Thomson has worked with technology company Better than Paper to develop the apps for three titles – Aberdeen daily the Press & Journal, Dundee daily The Courier and Energy Voice magazine. Readers can select from a menu of news, sport, lifestyle, business and opinion to ensure their preferred content automatically displays when they open the apps. Three subscription options are available for users of the app – which allow them either to solely view content through the web, or to access e-editions and receive the title’s print edition. DC Thomson has previously worked with Better than Paper on developing its digital news aggregation platform Scot News. The company’s head of digital Kirsten Morrison said: “Better than Paper play a key role in underpinning our publishing operations and helping us deliver unique, digital subscription models across regional titles. “We are also able to create more compelling value for our readers – enabling us to remain relevant and continue to thrive in the UK regional publishing sector. One of the sad consequences of the demise of print and everyone being time-poor is that we all only read what interests us. If you pay/paid for a newspaper, you read other things, too, to get your money’s worth. And you stumble(d) on things you’d never have known about otherwise. Like browsing shelves in a bookshop and picking up something you’d never find from ‘recommended for you’. We’ve never had such easy access to such a wide variety of information. And yet we are probably far more narrowly informed than previous generations.